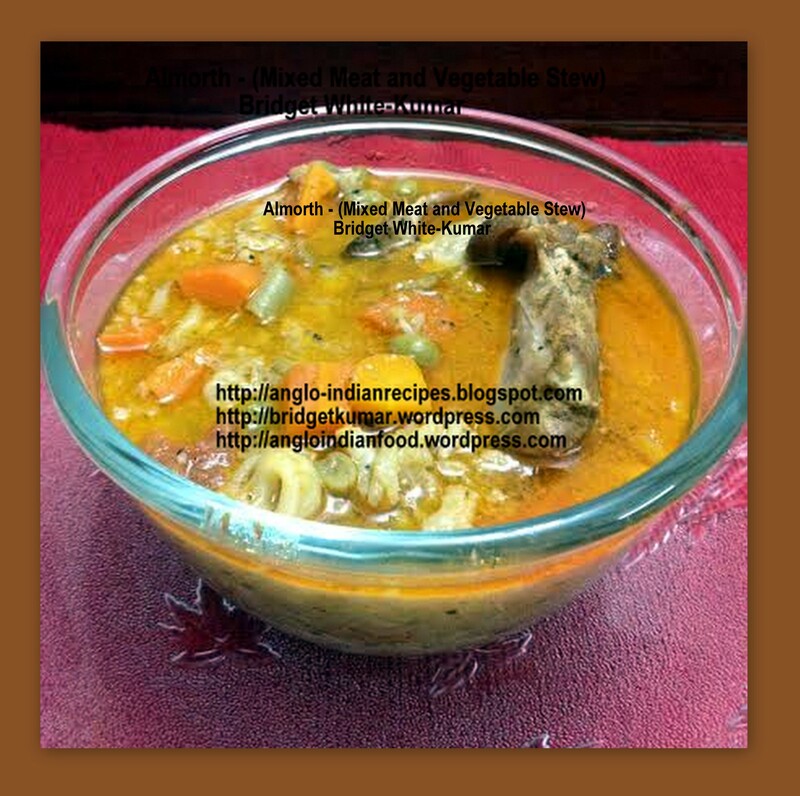 This dish is a kind of Stew made with a combination of meat, chicken, pork and vegetables. 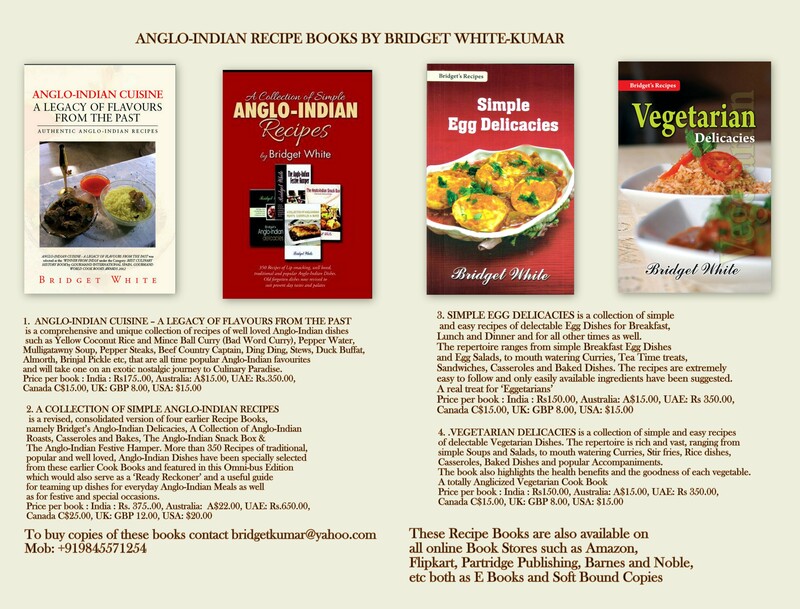 It’s a very old Anglo-Indian recipe. However, any combination of meat could be used as per personal preference. The same recipe could be used with chicken only. This Stew was a must have for Christmas or Easter Breakfast in almost all Anglo-Indian Homes in the olden days and was eaten with bread or rolls. I have fond memories of this dish when growing up in KGF. Cut the meat, chicken and pork into small pieces. Heat oil in a pressure cooker or a suitable vessel and add the onions, cinnamon, cloves, broken red chillies and chopped garlic. Fry till the onions turn golden brown. Add all the cut up meat together with the chillie powder, turmeric powder, pepper powder, salt coriander powder and tomatoes and mix well. Fry till the tomatoes turn to pulp. Add the mint and the coconut paste and mix well. Add sufficient water and cook till the meat is soft. If cooking in a pressure cooker, cook for 10 minutes (6 to 8 whistles). Now add all the chopped vegetables and vinegar and 2 more cups of water and simmer on low heat till the vegetables are cooked and the gravy is slightly thick. Serve with bread or dinner rolls. 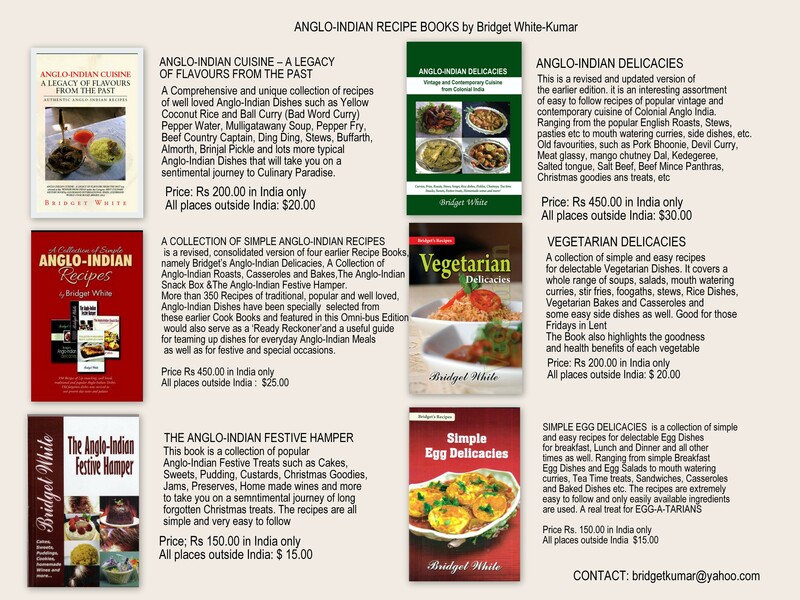 It also goes well with Hoppers, Dosa and Idlis too! !